White sandy beaches with cool ocean breezes. A bustling downtown by day and sizzling nightlife after sunset. A world famous Zoo and a jumping Shamu. What do all of these have in common? Their proximity to the Days Inn San Diego Hotel Circle Near SeaWorld. 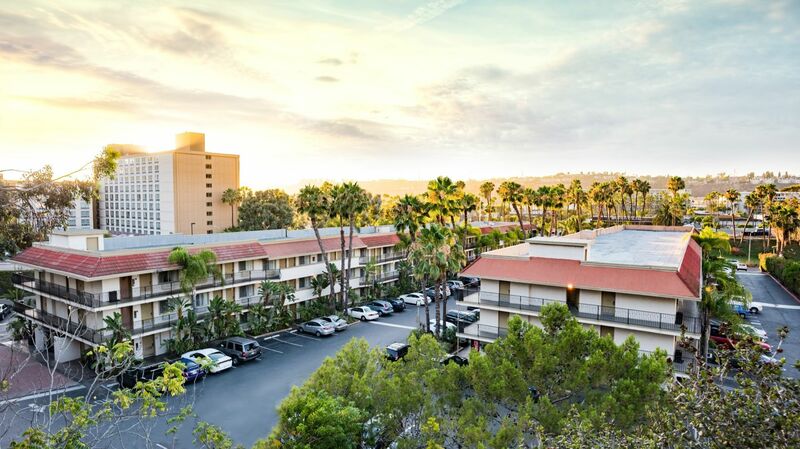 Located in the "Heart of San Diego," the Days Inn San Diego Hotel Circle Near SeaWorld is just minutes from all of the fun and excitement that is San Diego. It's all about value, comfort, and convenience at the Days Inn San Diego Hotel Circle Near SeaWorld. This San Diego hotel offers much more than just a great place to sleep. Guests enjoy a wide variety of complimentary amenities to help stretch your dollars. With discount tickets to all of San Diego's major attractions, and free wireless internet, we make it easy to experience the magic of a San Diego vacation without breaking your travel budget.